A new era has dawned for Zimbabwe and the country is determined to create an open, free and transparent economy. This was the message relayed by President Emmerson Mnangagwa when he addressed more than 1600 delegates attending the 2018 edition of the Africa CEO Forum underway in Abidjan. The most influential annual forum for public-private dialogue on the continent, the Africa CEO Forum has opened in Cote d'Ivoire with President Emmerson Mnangagwa, President Nana Akufo-Addo of Ghana, the host President Mr Alassane Ouattara and the President of the Africa CEO Forum Mr Amir Ben Yahmed delivering their speeches. 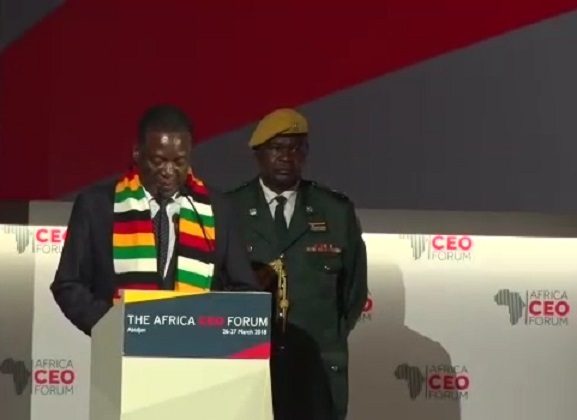 Addressing business leaders, bankers and global investors from 120 countries, President Mnangagwa says his administration recognises the crucial role that FDI and private investment will play in the country's economic re-emergence. "Zimbabwe's attendance here resonates with our current quest to engage and re-engage with the family of nations following years of isolation due to the illegal economic sanctions imposed on us. 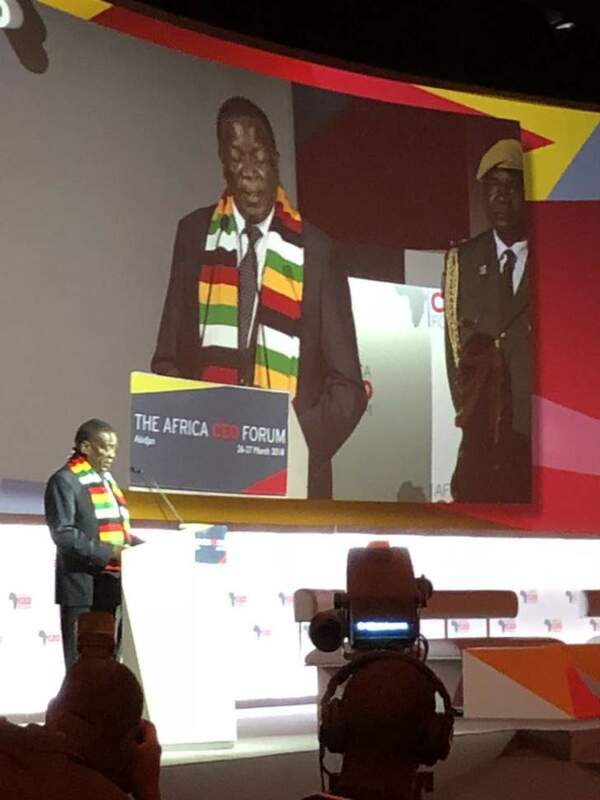 This platform provides me and my delegation with an opportunity to network with key decision makers from a broad spectrum of business, industry and commerce, from Africa and beyond guided by our mantra that Zimbabwe is now open for business," said Mnangagwa. President Mnangagwa said his administration seeks to build a new, open and prosperous Zimbabwe by working together with the international community. Said President Mnangagwa: "My administration's top priority is the resuscitation and revival of the economy and re-engagement of the international community."